The drilling process is a crucial component of oil and natural- gas production. Typically, vertical wells have been the principal way to discover and extract sub-surface minerals efficiently. However, in recent years, a process known as horizontal or lateral drilling has made it possible to bypass above and below surface obstacles to extract oil and gas that would normally be inaccessible with a vertical well. In the oil and gas industry today, there are wells that can initially breach the surface from a vertical angle and then divert horizontally once underground. Although this process appears purely beneficial, it can have negative repercussions. For example, consider a landowner or oil company that decides to extract oil from a piece property. Using a vertical well, they are entitled to explore below the surface of the land and keep the benefits of the exploration so long as they are retrieved from a well positioned on the property. However, if they use a horizontal well, it is now possible and more likely for them to extract oil directly from a neighboring piece of property. This type of horizontal drilling is considered unethical and can lead to breach of contract and litigation. 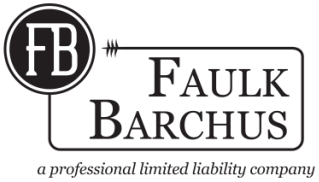 At Faulk Barchus, we understand the complications that horizontal drilling creates on both sides of the fence. Furthermore, our well-qualified attorneys are here to assist you in these matters. We work diligently in order to achieve a favorable result by either defending the actions of a well site operation or by protecting the rights of a landowner.